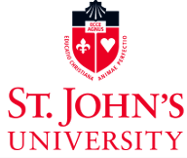 This campaign ended on May 03, 2017, but you can still make a gift to St. John's University by clicking here! For many of us, it is difficult to imagine a life without access to basic resources and education that we take for granted. Yet, there are more than one billion people around the world living on less than $1 a day without access to simple means. This in turn leads to a cycle of poverty that is nearly inescapable without outside help. That is where GLOBE steps in. What GLOBE is: GLOBE (Global Loan Opportunities for Budding Entrepreneurs) is a not-for profit, student-managed, microloan program at St. John’s University. Comprised of marketing, finance and enterprise development teams, students work together to provide small loans to budding entrepreneurs in developing countries. Where We Operate: Currently GLOBE provides loans to individuals in the Democratic Republic of Congo, Kenya, Nicaragua, Nigeria, the Philippines and Vietnam. With the help of the Daughters of Charity, we are able to maintain communication with our borrowers and address their need for credit to start or expand a small business. Income from these businesses can help lift a family out of poverty and provide for their children’s education, thus breaking the inter-generational cycle of poverty. Why We Exist: GLOBE was created to help those living in poverty help themselves though the dignified route of micro-enterprise. We provide opportunities to budding entrepreneurs in developing countries while simultaneously teaching students about the world microfinance and the challenges of poverty. Our goal is to help alleviate poverty by offering equal access to everyone to the basic resources needed to live a sustainable life. The loans we provide also help empower people, especially women, to take greater care of their finances and their families. How YOU Can Help: In order to provide loans for our new borrowers we need YOUR help. Every donation, large or small, offers an opportunity for a family to escape poverty. Many of our borrowers are women, typically the sole breadwinners of their families. Your donation can help them create a sustainable business, which in turn will help their communities grow. #GLOBEendsPoverty is our 5th Give Campus Campaign emphasizing the need to create a world without poverty. Our goal is to raise $2000 by the end of our 30-day campaign. In addition to raising funds we are looking to increase awareness of our organization so that we can operate on a larger scale in the future. Invite YOUR friends and family to learn about GLOBE and what we do! With YOUR support, we can provide access to basic resources, education and a better life. With YOUR donation, we can create opportunities for families living in poverty to create a sustainable source of income.